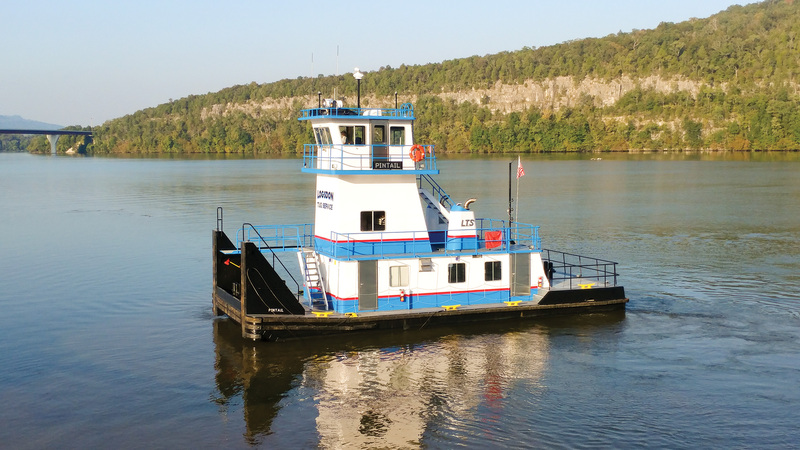 Serodino Inc., Chattanooga, Tenn., recently delivered a Super Tiger Class towboat to Logsdon Tug Service. The 1,320 hp. mv. Pintail will join its sister vessel the mv. Blue Wing at work in the Beardstown, Ill., area. The 60- by 24-foot hull is constructed of ½-inch plate throughout. The inside motor mounts are continued fore and aft as solid sheets to divide the hull into three collision compartments, three fuel tanks (9,900 gallons), engineroom, three water tanks and six stern compartments. A 110-gallon lube oil tank and a 110-gallon transmission oil tank are built into the hull. Power is furnished by a pair of Cummins QSK-19-M engines, developing a total of 1,320 hp. at 1,800 rpm., with Twin-Disc MG-5222 reverse and 4.03:1 reduction gears turning 4-1/2-inch sleeved shafts and 52- by 41-inch four-blade wheels. Two 40 kw. John Deere MDDCA light plants furnish auxiliary electric power. The Skipper steering system consists of follow up lever controls, backed up by jog steering that independently activate four flanking and two main rudders. Carlisle Finch furnished incandescent and Xenon searchlights, Wintech furnished two 40-ton deck electric winches and Fernstrum supplied 0 Knot coolers for main engines and generators. Morse rubber towknees and Schuyler perimeter fenders protect the hull. The superstructure is constructed of 3/16-inch plate with 2 ½- by 2- by ¼-inch framing; doors are stainless steel by Omega Products. Wynne Enterprises windows are aluminum with safety glass panes. The first deck is 17 by 31 feet and contains a storage room, a 12- by 10-foot galley, and a modest head with shower; the second deck is a 10.5- by 11-foot, 9-inch deck locker. The pilothouse has full instrumentation, alarms and vessel control. There is a 3-foot space below the pilothouse to make an eye level of 28 feet. 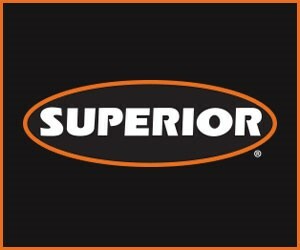 Work is continuing on the next Super Tiger, with completion expected in November.